Camping World Holdings Inc. in an update said it has opened 12 Gander RV locations since the first opened in Kenosha, WI in the late summer of 2018. Eleven more are planned to open soon. 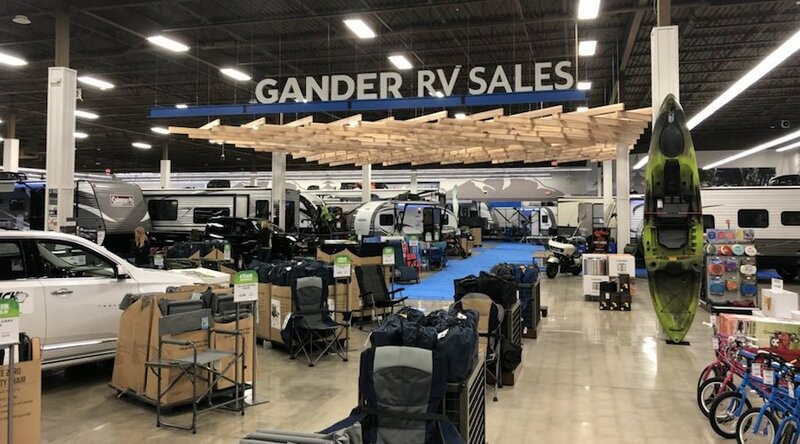 The first Gander RV location opened in late summer of 2018 in Kenosha, WI, inside a revamped Gander Outdoors store. Since the opening of Kenosha, the company has opened additional Gander RV locations in Ocala, FL; Augusta, GA; Fayetteville, NC; Huber Heights, OH; Jackson, TN; Amarillo, TX; Spring, TX; Tyler, TX; Roanoke, VA; DeForest, WI; Eau Claire, WI and Rothschild, WI. Additional Gander RV locations opening soon include: Anniston, AL; Wichita, KS; Baxter, MN; Hermantown, MN; Forest Lake, MN; Cicero, NY; Breaux Bridge (Lafayette), LA; Springfield, IL; Marion, IL; Coldwater, MI and Statesville, NC with additional dealerships planned for the remainder of the year. Gander RV locations will operate similar to the Company’s other RV dealerships, complete with RV sales, service and parts and accessories. Since the company’s founding in 1966, Camping World has grown to become one of the most well-known destinations for everything RV, with approximately 225 locations in 36 states and an e-commerce platform.